Travels Car offers car & buses rental in Indian top cities, now you can book full day Car or Bus in India. 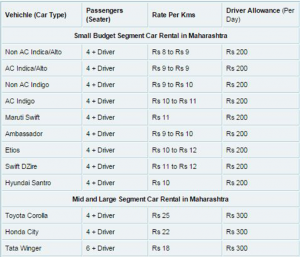 Here you will find a reliable India based car rental company for Your all car & bus hire needs. You can also book car tour packages to nearby or outstation travel destinations from our destination or book for city tour. 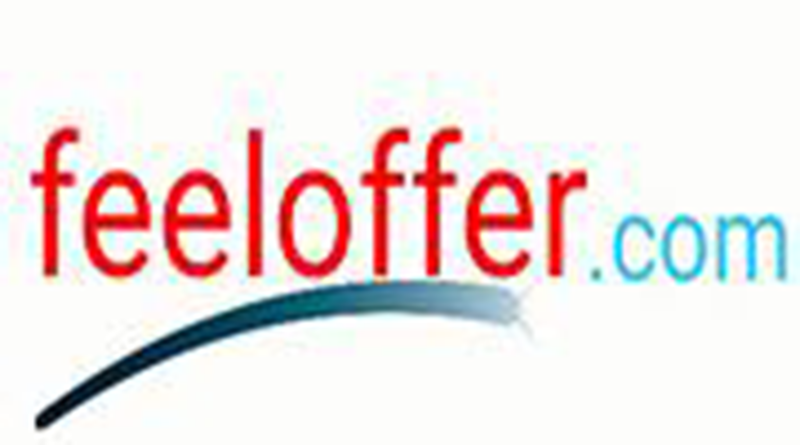 Lowest & Most Competitive Rental Pricing. Lowest Incremental Cost On Kilometer Usage . Courteous, Bilingual & Smart Chauffeurs. Chauffeurs with Cell Phones For Easy Accessibly. Customer will receive detailed email on booking completion. Cars are Air Conditioned but use of AC is up to the Customer. Sometimes in hilly areas driver may be required to switch off the AC to prevent overloading of engine. Service tax and/or any other taxes at applicable rates from time to time, Toll, Parking charges, etc would be charged extra. Opening and Closing Kms & Hrs will be calculated from car owners location/Office to location/Office. Company will not responsible or liable for late running, cancellation of vehicles due to Traffic Jams, Traffic Diversions, and Accidents etc. Booking cancellation charges will be as per mentioned in vehicle tariff plan or confirmation mail . Customer can change booking within Two days by paying nominal charges after that regular cancellation charges will be applicable. Cancellation charges will be 15% of total booking amount. travelscar.com will keep all the rights to change/ Cancel booking any time without intimation to customer/ Vehicle owner. Full and final bill will be as per actual KM at the end of booking journey. travelscar.com would not be responsible in case of any kind of accident occurred during journey. 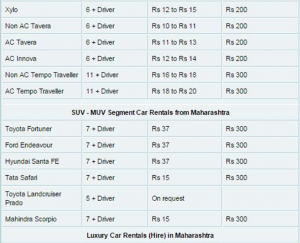 In case of any discrepancy in the booking, booking amount or Charges, travelscar.com have rights to change rates or cancel the said trip any time. All services will be provided by chauffeur driven cars/vans only. The mileage and time shall be determined from office to office (i.e. The time vehicle leaves owners place for the assignment (your duty) till it returns back after completing the assignment). The photographs showing are for illustrative purpose only. In the event of any breakdown during the service respective vehicle provider (Not the travelscar.com) shall be responsible to provide the substitute car/van. It is respective vehicles owner’s responsibilities to make comprehensive insurance of their vehicles and keep their vehicle throughout insured during journey. And will make sure that comprehensively insured, where, the occupants / passengers are fully insured and the claims can be settled as per the governing rules in India, Through court of law. The respective car/van owner’s will be held responsible towards violating the law for example over speeding, drunken driver etc. And also responsible for all damage, liabilities and fine and could face legal action. By booking (Customer) and joining (vehicle owner’s) with www.travelscar.com, both agrees to pay travelscar the cost, charges fees and expense set out time to time including specifically and without limitation those set forth in the schedule. Vehicle owner’s will be held responsible for all towing and impounding charges associated with a collision and by driver failure. All the rights including the copy rights of the content (All , characters ,Text, pictures, Images and Videos) of this website belongs to the Travelscar. Use, reproduction, duplication, redistribution and republication should not be perform without prior consent of Travelscar.com.